This page describes some of the features in or near our neighborhood that make it an attractive and pleasant place to live. We are happy to hear about suggestions from our residents about things that might be included on this page. The Association has a pool available for members located on the corner of Lymbar and Renwick, just at the south end of Atwell. Pool membership is included in the association dues. There is no extra charge to residents however non-resident guests accompanying a resident pay a $1.00 guest fee per guest at the entrance. The 2018 pool season opens June 2nd and closes Aug 26th. 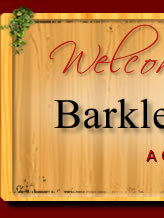 Pool Hours: The pool is open to residents of Barkley Square during the following hours and a lifeguard is on duty. Pool rentals for private functions are available for a fee of $50 + $10 per hour for lifeguard (20 people per guard). 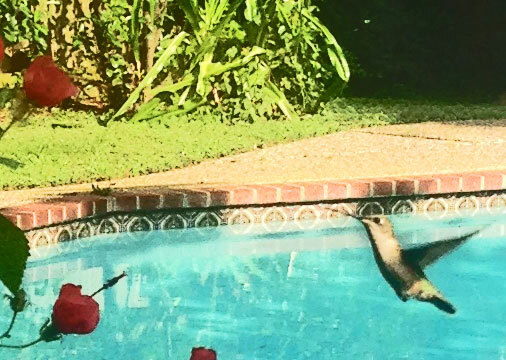 Please call Kristen Reeves for more information regarding reserving the pool for private functions at 713-729-1445. We do offer some limited membership opportunities to non-residents for a fee. You may contact us about this through our Contact Us page for more information. Select "Pool Committee" from the dropdown menu and enter your personal contact information and someone will be in touch with details. One of the best things about our neighborhood is the convenience of a hike/bike trail that runs along the banks of Braes Bayou. 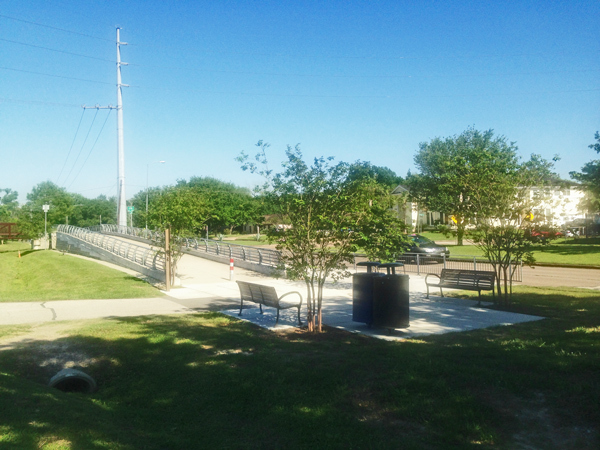 This trail is an improved asphalt trail that goes from Gessner on the west end, to MacGregor Park on the east end. This is a distance of 14 miles from end to end, offering a great opportunity for residents who want to bicycle or walk away from traffic in the streets. small park just past Buffalo Speedway for a turnaround provides a 9 mile round trip. For more ambitious riders, it is easy to plan a round trip of over 30 miles without riding in the street anywhere except a few places crossing bridges from one side of the bayou to the other. The trail is well maintained in most parts, with rough spots that develop over time with shifting ground. Recent drought conditions have sometimes opened dangerous cracks in the trail, so vigilance and caution is recommended. 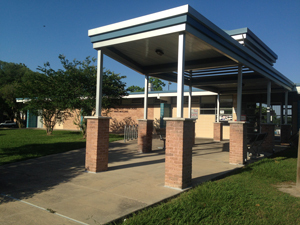 Features along the trail include an exercise pavilion between Stella Link and Buffalo Speedway, and benches and water fountains along the entire way. 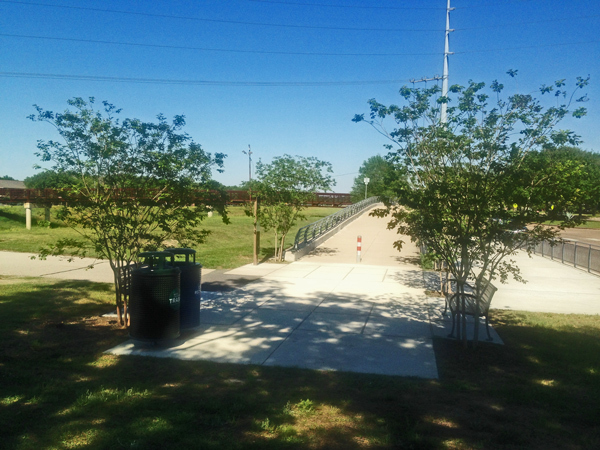 In 2016, new facilities have been added at the Atwell Street intersection with the trail. 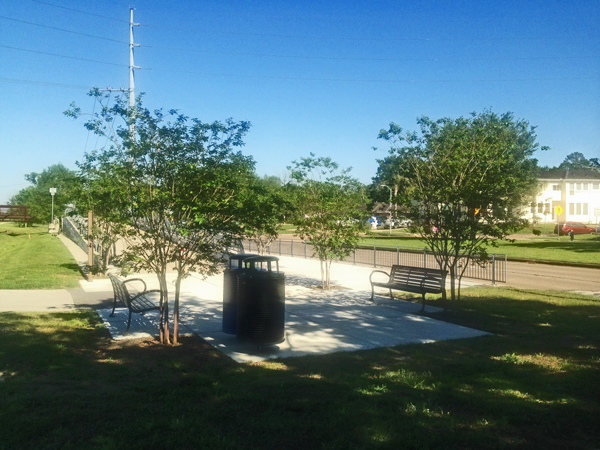 New sitting areas with benches and landscaping have been added at both the east and west ends of the ramp leading to the foootbridge across the bayou to North Braeswood. The pictures below show the improvements at the west end of the ramp. 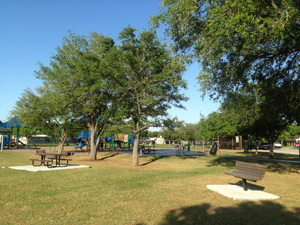 A nice park where small children can play is available just south for our neighborhood on Willowbend at Mullins, just west of Parker Elementary. There is a public swimming pool there, with a baseball diamond, tennis courts, and playground equipment, for smaller children. 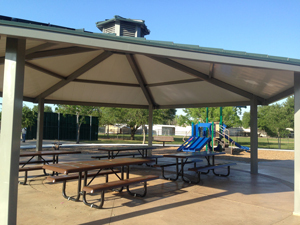 Picnic tables and benches are scattered around the park, some in covered pavilions. 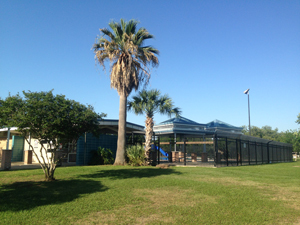 On the left is the entrance to the pool facility, with a view of the pool area just to the right, behind the building. Below, you can see a bench and picnic table in the open, with the children's playground in the background. On the right, see the picnic pavilion with one of the children's climbing sets in the background. 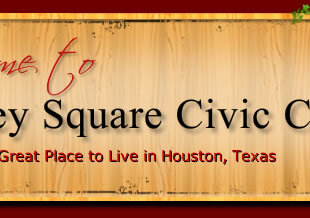 For more information about City of Houston Parks, visit this page. 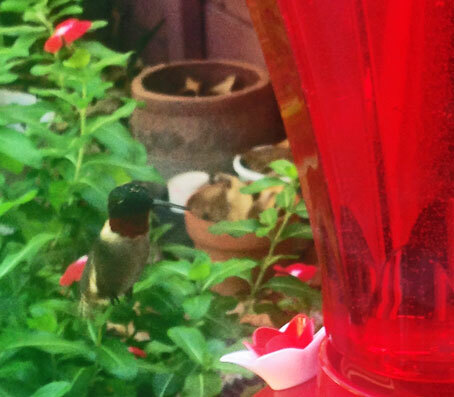 We have lived here since 1993, and I had never seen a hummingbird in my yard. Recently I bought a plant they called a hummingbird plant, and have now discovered hummingbirds in the neighborhood! I have gotten a few pictures (they are very hard to photograph! ), and seem to have attracted at least two different birds. In this shot, you can see the flowers of the hummingbird plant on the left. This plant seems to be thriving in a pot in my back yard, but, in the present heat (August-September), I have to water it every day, sometimes twice! It is a nice looking plant with beautiful red flowers, and has reached a height of about four feet so far. In this second shot, I caught a bird coming to my newly installed feeder. As you can see, this is a different bird. Not knowing much about hummingbirds, I don't know whether this is male and female, or two different species of bird. In any event, I am happy to have them visiting my home. Hummingbirds have always seemed to have a special quality setting them apart from all other birds. My Mother, up in Shreveport, always had a feeder near the window and seemed to take special pleasure in watching these fascinating creatures. She loved all birds, but these were special! If you are interested in learning more, the Houston Audubon Society has a page of information on their webiste.